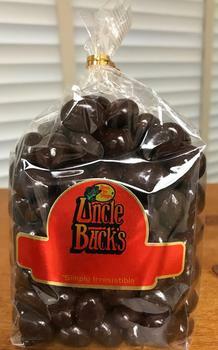 Rucker’s Wholesale and Service Co. of Bridgeport, Ill., is recalling Uncle Buck’s and Family Choice Dark Chocolate Peanuts. No illness associated with this recall has been reported. The recalled products are packaged in a 8.5-oz. clear twist tie bag with Uncle Buck’s and Family Choice labels and the UPC 0 52545 10226 8. The Family Choice brand was distributed to Bomgaars Supply, L&M Fleet Supply, North 40 Outfitters and Runnings. The two brands were sold nationwide between March 7, 2016, and October 30, 2017. Customers who purchased the recalled products and have an allergy to milk should not eat them, but destroy them. Consumers with questions may contact Rucker’s at 618-945-2411, or 800-663-1857 Mon – Fri 7:30am – 4:30pm (CST), or by email at customerservice@ruckerscandy.com.